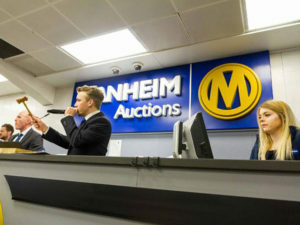 Sold volumes at Manheim Online hit 5,700 units in January, breaking the auction giant’s previous volume record by 11% in January. The platform, which offers various digital selling routes from online auctions to Buy Now options, was set up in 2013 and sold more than 46,000 units in 2017, representing a fivefold increase on the 8,000 units in its first year in operation. Manheim Online’s John Biggs said: “Exceeding our previous sales target is a fantastic achievement and we will continue to focus on securing the best quality stock and broadening our buyer base to improve the customer experience.